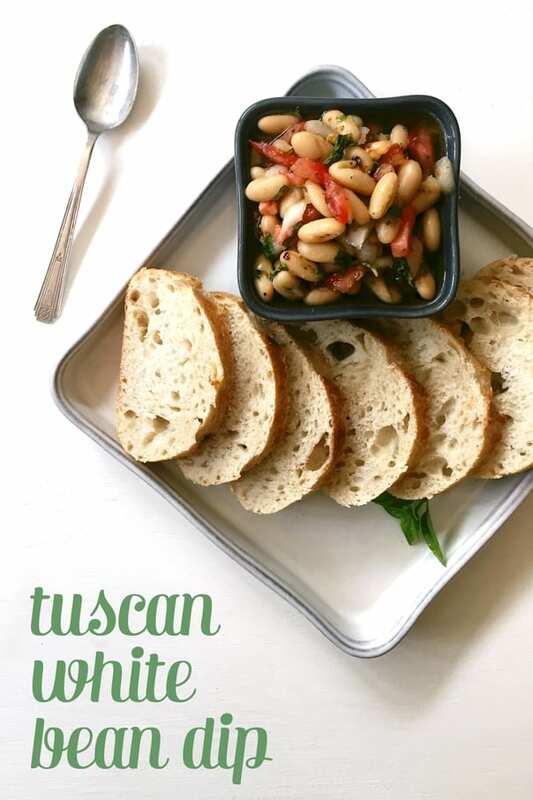 Tuscan White Bean Dip has all the Italian flavors you need to bring to a party. 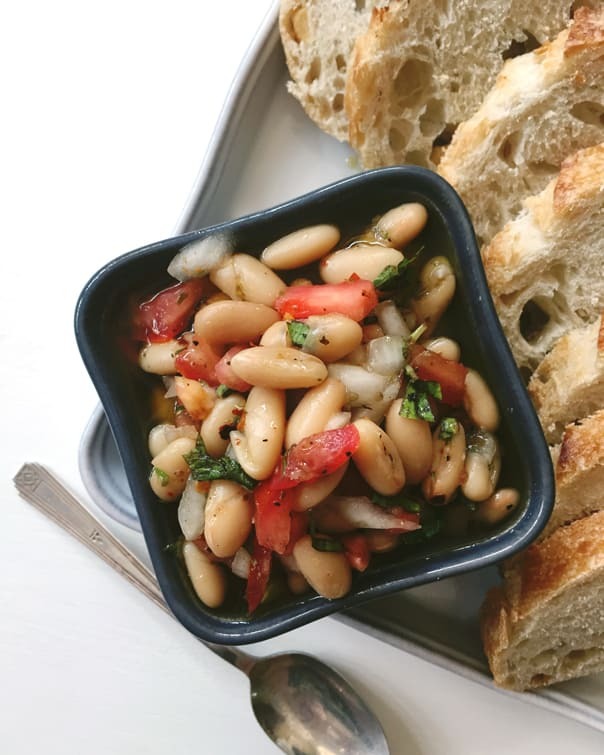 Served with warm bread and featuring white beans, juicy tomatoes, onion, garlic and fresh herbs, this is an appetizer your guests won’t soon forget. Though we’ve had thunderstorms in Charlotte the last couple days (much needed, mind you), it’s been a very dry summer. The creek in my neighborhood is practically drained of water and the heat has been just about unbearable. And yet, I’ve miraculously been able to keep my herb boxes alive. No one is more surprised than I am, because I’ve killed more than a few of these over the years. In celebration of being a good plant mama, I decided I needed to find some ways to use these beautiful herbs. And what better way to do so than in a summery Tuscan White Bean Dip? One of my family friends — who knows Italian food through and through — introduced me to Tuscan White Bean Dip. Even though I’ve adapted my own version of her recipe, I always secretly hope it will make an appearance at every party she throws. It’s that good, you guys. Tuscan White Bean Dip is simply soft white beans coupled with juicy red tomatoes. Everything is doused in a generous helping of olive oil infused with crushed garlic, spices and fresh herbs. Instead of being a creamy dip, the beans and tomatoes are kept whole, making Tuscan White Bean Dip almost like an Italian bean salsa. 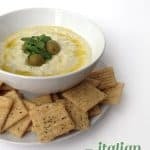 Serve Tuscan White Bean Dip with fresh bread or pita chips. 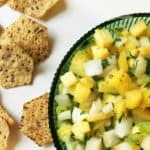 Add it to your next party menu lineup with Spicy Bacon Pimento Cheese and Pineapple Cilantro Salsa and you’ll have a dip to satisfy every craving! After you make it the first time, I know your party guests will secretly wish you’ll bring this to all their parties, too. Italian Hummus is a twist on your favorite hummus recipe, using white beans instead of chickpeas. Nutty parmesan cheese and sweet roasted garlic pair perfectly with white beans in Roasted Garlic Parmesan White Bean Dip. 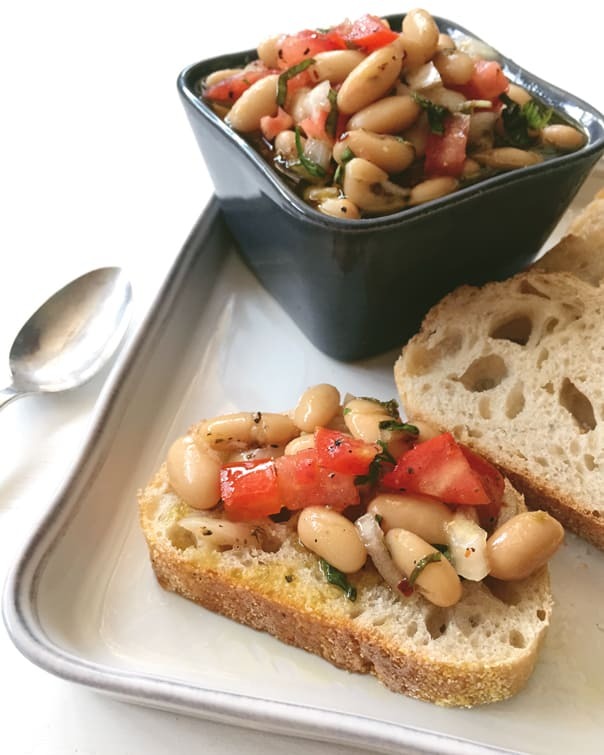 Grab some fresh herbs and veggies to make White Bean Picnic Salad, a great addition to a summer appetizer table. 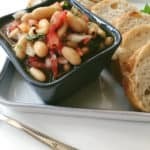 White Bean Cherry Tomato Basil Salad can be eaten as a side or served with slices of baguette for a seasonal appetizer. Rosemary White Bean Spinach Artichoke Dip is a spin on the classic spinach artichoke dip with some white beans for extra creaminess! Serve Tuna White Bean Herb Salad on some toasted baguette slices for an elegant party appetizer. What are your go-to party appetizers? Drain the cannellini beans and pat dry with a paper towel. In a medium bowl, combine beans, onion, tomatoes, garlic, herbs, and salt and pepper to taste. Stir together until all ingredients are evenly distributed. Stir in olive oil. Refrigerate in an air tight container 2 hours to let flavors marinate. Serve at room temperature with bread or pita chips. I didn’t know you lived in Charlotte!! You need to go to Toscano or Mezzanotte and try their bean dip, I’m freaking OBSESSED! Thank you for this recipe, so I can make it at home! I was literally planning to develop this recipe in the next couple of weeks so we don’t have to always eat there to get it lol! But thank you for giving me a recipe I can use instead!! Love it! 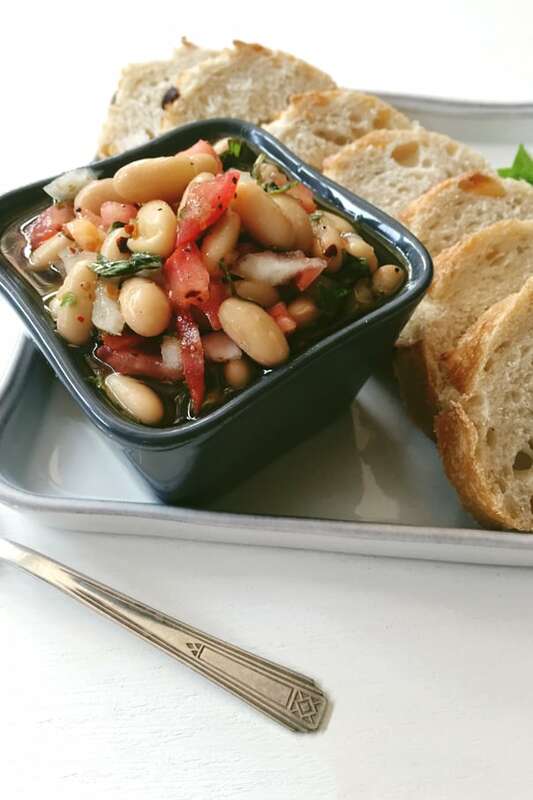 We live in Statesville and enjoy the Tuscan bean dip that is placed on your table when you are seated at Dolce, a small neighborhood restaurant off of East Blvd. 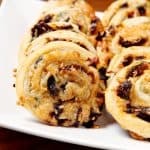 I have been searching recipes to replicate it with some modifications and will enjoy using yours. I will probably cut back on the olive oil. Oh yes, this one has a ton of olive oil! But I love it that way. I totally support you making it how you like it! I have never been to Dolce, but now I must! 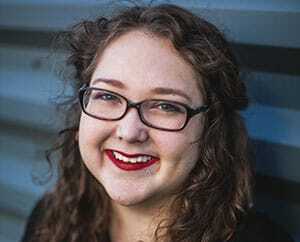 Thank you for stopping by the blog to leave a comment, Elizabeth! Thank you for sharing this recipe. Small world! I too live in Charlotte and have had this at Toscana and Luce. I found your recipe on Pinterest. I made this for a holiday party and it was a huge hit. Everyone loved it! I’m so happy to hear that you loved this recipe, Gale! This is one of my favorite recipes for a party too. Waving from across Charlotte! Recipe has way too much salt. Is this a mistake in the ingredients? Other than too much salt, the dip was very good. Hey Jerry, Glad you liked the dip! I’m sorry the salt was too much. I actually adapted the recipe to include only 3 teaspoons instead of the original 1 tablespoon, so it’s even less salty than the original. It’s been a while since I’ve made this for a party, and I usually do salt “to taste” for dips like this. That would be my advice if you make it again — start with half or a whole teaspoon at a time, taste, then add more as needed. Don’t you know that 3 teaspoons are in one tablespoon?????? Hi Mathis, Thank you for taking the time to leave a comment. I do know that, and also I know that typos are human error. The recipe also states that the salt should be added to taste, so feel free to add it gradually and adjust for your own tastebuds. I agree… waaaayyyyy too much salt. Salt amount should be cut in half (maybe even more), but otherwise a tasty dish. So sorry the recipe didn’t work for you, Kerry! I suggest adding the salt a little bit at a time if you make it again, and tasting it to make sure it’s exactly how you like it! 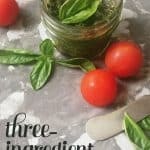 I completely tripped across your blog and found this recipe. I made it for my movie (like a book) club. It was a big hit! This will be in the rotation from now on. Also, fellow QCer here. I am so glad to hear this, Morgan! I love hearing that people make my recipes. ♥ A movie club sounds up my alley if you need new members, lol! It’s nice to meet you and thanks for saying hello! I made this today. Used only 1 tsp salt and only 1/3 cup olive oil. Grew my own flat leaf parsley and basil. With these modifications it was spectacular!